Not long ago, the prospect of a Baltimore-Washington matchup in the World Series was nothing short of absurd. As recently as 2011, the Orioles endured their 14th straight losing season. Forty miles south, the Nationals struggled through an eighth consecutive year without a winning record -- a streak that began when the team was in Montreal. Now, with absolutely no regard to history, these long-suffering franchises are on a collision course to make a Beltway Series a reality. The Nationals and Orioles finished with the same record (96-66), clinched division titles on the same day and are now among eight teams with a shot of being 2014 major league champions. Never mind that none of the remaining clubs have gone longer without being in the World Series than Washington (1933) and Baltimore (1983). If all goes as planned for both clubs, the Nationals will come to Camden Yards on Oct. 21 for the opener of the World, er, Beltway Series. Traffic on I-695, otherwise known as the Baltimore Beltway, and I-495, Washington's equivalent, would be jammed with cars bearing flags of their favorite baseball teams. "I think it would be insane for the cities -- 695, 495, would be insane," Orioles center field Adam Jones said. "It's far away, but that's something fun to think about." "They've got a great ballclub over there, we've got a great ballclub over here," Baltimore right-hander Bud Norris said. "It would bring two cities and two regions really close together to create something special. The fans would get into it and it would be great for the area." If the Los Angeles Angels and Los Angeles Dodgers emerge as winners in their leagues, they would engage in a Freeway Series. If it's St. Louis and Kansas City, the teams would recreate the I-70 Series of 1985. 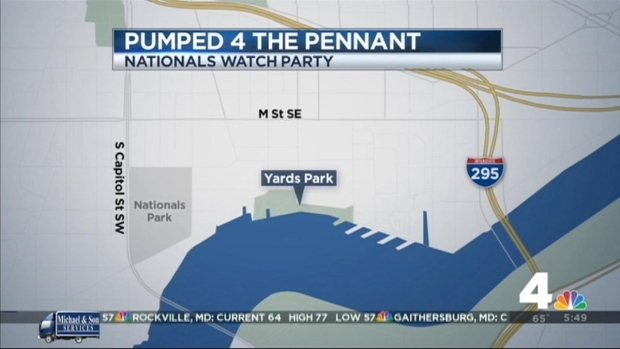 But the Beltway Series? That would be historic. 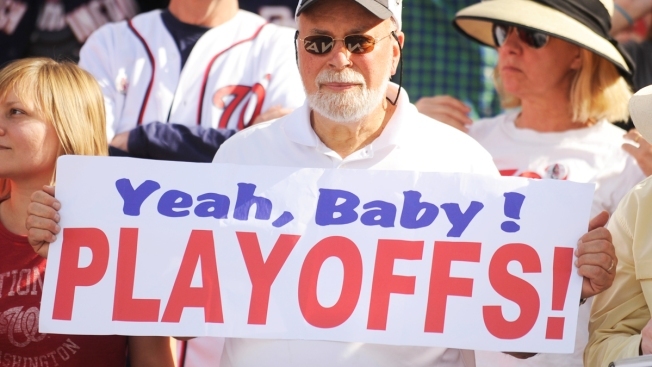 "Both fan bases deserve it," Nationals owner Mark Lerner said. "I certainly feel great about our fan base, but I feel just as great about the Orioles' fan base. There's no better fans in all of baseball than Baltimore fans and they deserve a winner. I couldn't be happier for that city." The Orioles' ended their run of losing seasons by reaching the playoffs in 2012 under the guidance of manager Buck Showalter, who has turned around a franchise that went into a funk after reaching the postseason in 1996 and 1997. Two years ago, Baltimore's run ended with a loss to New York in the AL Division Series. Similarly, Washington was eliminated in five games that year by St. Louis in the ALDS. So now, here they are again, poised to make a run deep into October. 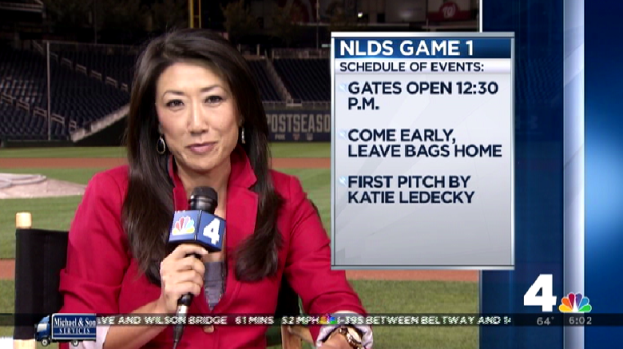 "As far as a Beltway Series, I'd like to be in the Series against anybody," Nationals general manager Mike Rizzo said. "If it's Baltimore, great. I've known Buck for a long time. We were together in Arizona (overseeing the Diamondbacks) for a long, long time. A good friend of mine. He's a great manager, definitely the Manager of the Year in the American League. "They've got a great team, and they're a scary team to play. But we'll take a Beltway Series. We'll take a Series in Anaheim. Or anywhere else," Rizzo added. "We're just trying to get past the first round and see where we land." "I guess it's jumping the gun a little bit, but you can allow yourself to imagine what it would be like," Baltimore closer Zach Britton said. "It would be neat. How many times have teams this close together played in the Series? That rivalry we have, it would be special, and there's a chance it could happen." The fans would love it. When the teams met during the regular season (Baltimore won three of four), orange-clad Orioles fans helped fill Nationals Park and plenty of red shirts and hats crowded into Camden Yards. Extending the rivalry into the postseason would suit the players, too. "I could sleep in my bed every night during the Series," Jones said. "I don't mind driving down to D.C."
It isn't necessarily a dream matchup for everyone, but a Baltimore-Washington World Series would be savored around both Beltways. "For travel purposes it would be awesome," Orioles shortstop J.J. Hardy said. "It would be great. I don't know about the rest of the country, how they feel about it, but I know this area of the country would really like it."